Oh happy days! 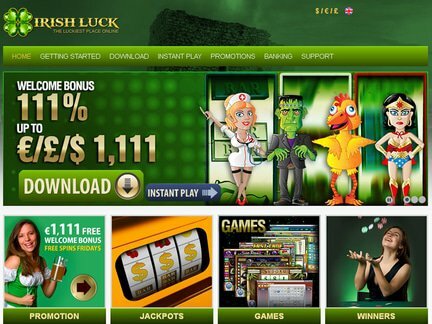 Play at Irish Luck Casinos and win bonuses up to $111! Powered by Rival Gaming software, Irish Luck Casino has on offer one of the best bonuses and promos that could rival top casinos on the web. Complimenting exciting prizes and giveaways, like an all expense-paid trip to the Emerald Isle, is a full gallery of well-designed i-slots and more than a hundred casino games. Players can choose between playing for fun and betting for real money. It also accepts multiple currencies from players and can be played through various languages. These wonderful features make it easy to understand why the site has figured in several top casino lists. The site is licensed in Curacao and systems are installed to ensure fair play. Sophisticated technology is also utilized to protect all player information. Irish Luck Casino is very generous to their players in terms of bonuses. They tagged themselves as the "Luckiest Place Online" and have raised the bar in giving welcome bonuses. New players immediately receive $11 without any condition. Once you make your initial deposit, you will get a match bonus of 111% equivalent to as much as $111. To make things even more exciting, they also give players 11 complimentary spins on the video slot Best of Luck. Wednesdays and Fridays are happy days for patrons. For every $20 you deposit on a Friday, you will get five complimentary spins on any machine you choose. 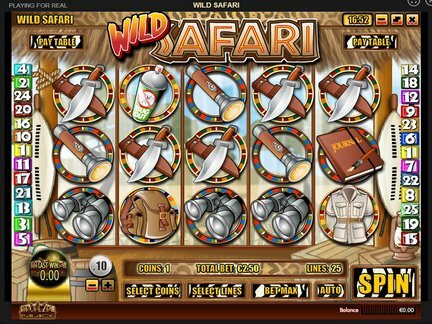 On Wednesdays, you could let loose and play as much as you want because your total winnings on that night will have an additional 10% incentive, or you could opt to get the 10% refund from what you lost. Once you refer anybody, you will be entitled to a referral bonus of $50. However, the biggest reward here is the free vacation to Ireland, which only new players could avail. Members of the VIP club, which has multiple levels, get to enjoy even more rewarding incentives. The club, called Clover Club, gives members various privileges such as faster withdrawal transactions and exclusive gifts. A player's four initial deposits are matched with 44 incentive spins on the video slot Shamrock Isle. If you opt for the instant play mode of this site, you will have access to a wide range of video poker, slot machines, table and card games and progressive jackpots. The main attraction is the collection of interactive story-like machines, with titles including A Switch In Time and Sherwood Forest. These feature fantastic bonus rounds, entertaining themes and compelling graphics and animations. If you prefer the traditional 3-reel machines or video slots with multiple lines, they also have them, including titles like Pub Crawlers and Diggin' Deep. Table games on offer include the more popular blackjack, roulette and various kinds of poker while specialty games available are keno, Sudoku. Additionally, bingo can also be played. Irish Luck Casino accepts US and Australian dollars, South African rand, Euro and British Pound. They are among the establishments that facilitate faster processing time of transactions paired with a secured deposit method. Some banking options are Click2Pay, Ukash, MasterCard and NETeller. If you have any queries, you can immediately contact their customer support team through phone, chat or e-mail.